A personalized physical therapy program that gives you the opportunity to succeed in a private, friendly setting. Whether it’s a nagging pain, injury or the need for a significant rehabilitation following surgery, you will find the care you need with a personalized, customized therapy program from M. Johnston Physical Therapy. You only work directly with Dr. Melinda Johnston. Your program begins with a thorough evaluation and then education to make sure you fully understand the optimum scope of your PT program. With that understanding, you begin a customized program designed to address your therapeutic needs and get you back to your old self as soon as you can. 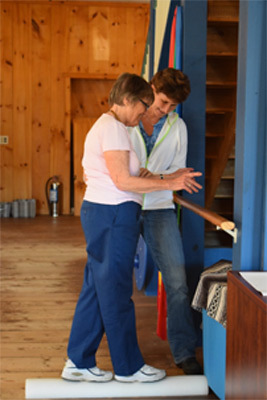 Johnston Physical Therapy’s customized therapeutic programs combine scheduled visits with “at home” exercises that match your ability to properly complete them in the most beneficial manner. Your progress is constantly monitored and adjustments are made along the way to make sure you have the best opportunity to have a successful rehabilitation program. Communication with your Physician is an important factor in your case. Many patients progress well because of collaborative efforts of a team – including your Primary Care Physician, your Physical Therapist as well as any specialist that may be involved in your case. Therefore we try very hard to keep the lines of communication open with your “team” throughout your case. 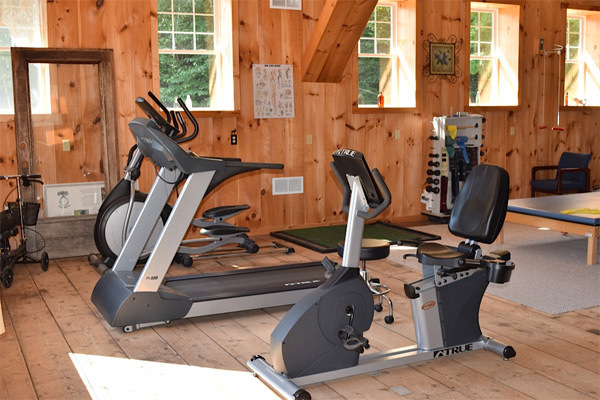 Our studio includes state-of-the-art equipment including ultrasound and Graston tools. Conveniently located on Route 3 in Campton, NH across from Chesleys Mini Mart just down the road from The Sunset Grill just a short drive from Interstate 93. Melinda’s vast knowledge of the human body and the physical aspect of recovery, as well as her patient demeanor helped me immensely. Her interest in what I wanted from my recovery, for example, my returning to the game of golf, was important to her and to me. I had a severe case of sciatica and after trying everything suggested by my doctor such as steroids, X-rays and painkillers, I finally went to Melinda Johnston. After just 2 weeks of a very specific program of simple exercises to work the lower back, I felt no more pain. Melinda is not only encouraging, optimistic and positive but she carefully explains the anatomy and physiology of the injury and the rationale for rehabilitation. In addition as a single practitioner she sees every patient at every visit. As a physician I am amazed by Melinda’s fund of knowledge and I would strongly recommend her to anyone. Learning and practicing the balancing exercises shown to me at Johnston Physical Therapy has saved me often. In addition, leg and arm exercises have also helped me strengthen my body which in turn has allowed me to avoid surgery. When I ask questions Melinda gives her replies in a language anyone can understand so you know what is happening. She is professional yet personable and will help you in anyway she can. Her care is second to none. She is professional, caring, and very knowledgeable in what she does. She makes you feel like you can do anything! Melinda listens through each session, helps me do the right exercises, and makes me understand that I am gradually getting to my goal of being where I want and need to be. She helps me deal with both the physical as well as the mental aspects of healing.